One evening after a busy workday and weekend away from home, Katie and Ryan decided to order in from their favorite pizza restaurant. 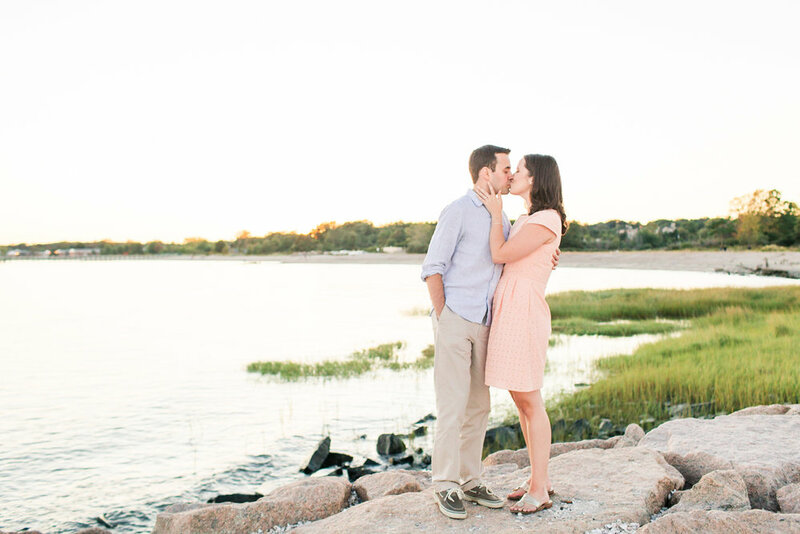 Just before it arrived, Ryan proposed with a note that read, "Pizza boxes are big and heavy. I thought I would bring you a smaller box instead." 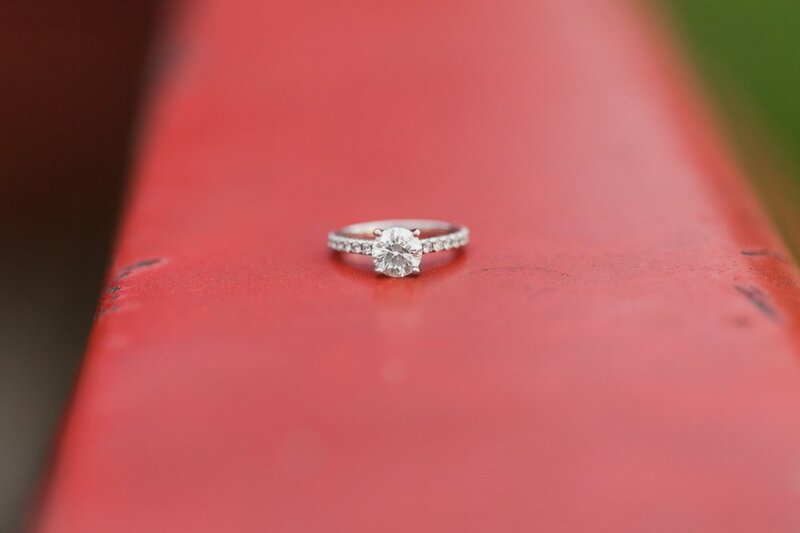 Inside the "smaller box" was a beautiful engagement ring! 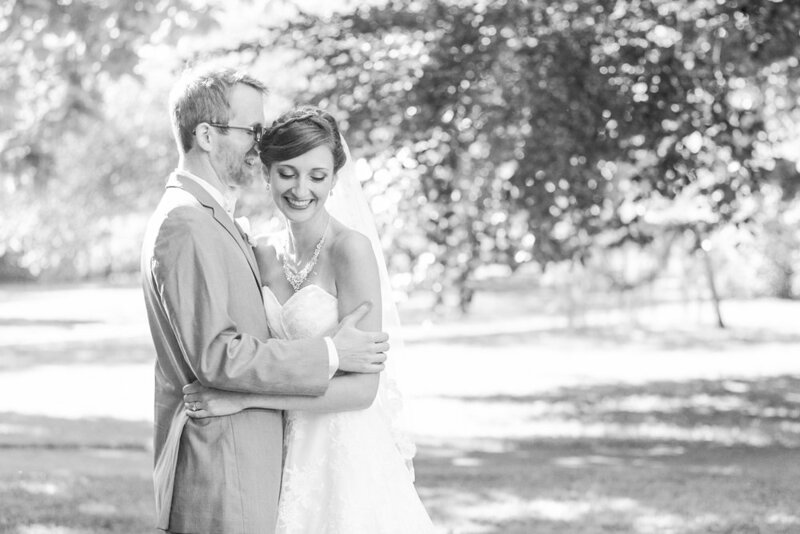 They celebrated this new chapter in their lives together with pizza and wine (my kind of people)! 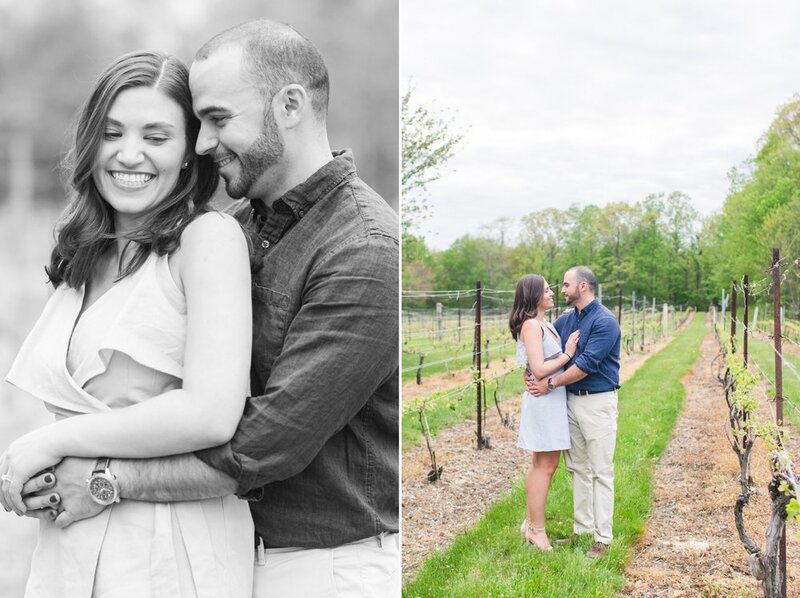 From the first time we met, Arturo and I connected immediately with Katie and Ryan! 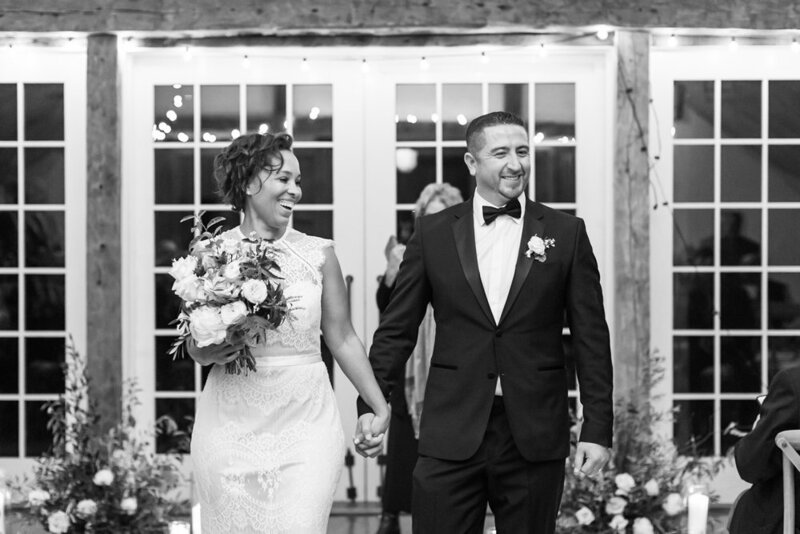 We adored their outgoing personalities and zest for life (we may or may not have been a little biased because they mentioned the possibility of a donut wall at their wedding next year!). The four of us connected over a mutual love of our favorite foods and local eateries. 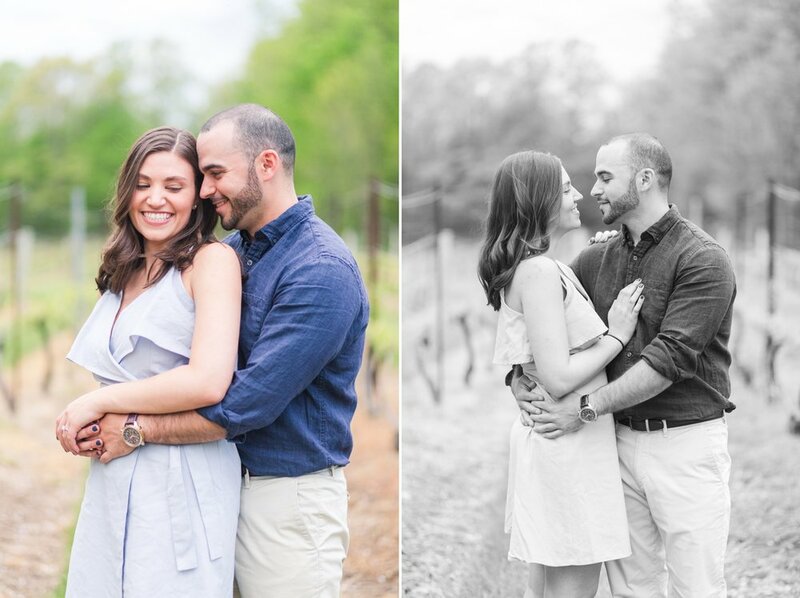 When Katie told me they wanted to have their engagement photos taken at Chamard Vineyards in Clinton, Connecticut, I was ecstatic because it was one of the beautiful venues Arturo and I had considered while we were planning our own wedding three years ago! 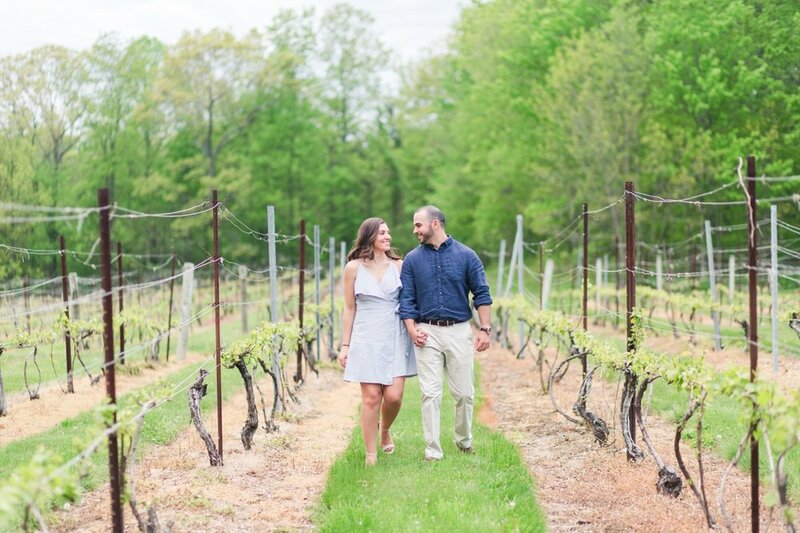 After the cold, rainy days we had here in Connecticut last week, the day of this beautiful vineyard engagement session was so refreshing. It felt like spring was finally in full swing around here! We explored the grounds of Chamard, walking through the lanes of grapevines and into the cellar where they produce the wine. 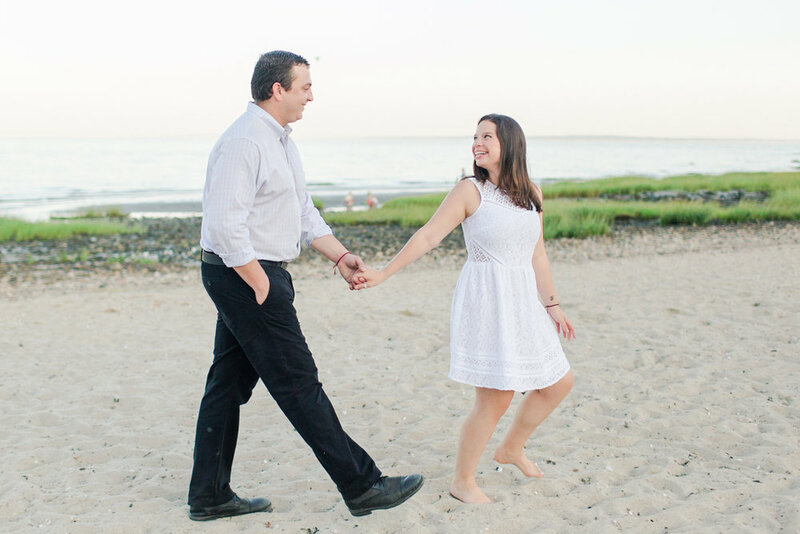 Katie and Ryan chatted a bit about the details of their wedding day next July at Whitby Castle in Rye, New York. 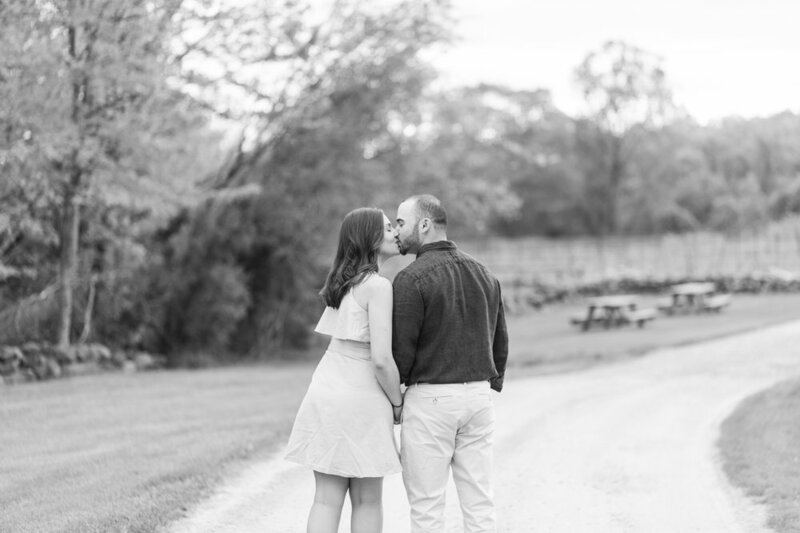 If their engagement session was any indicator of how amazing their wedding is going to be, I'd say 2018 is going to be a pretty good year for them! Congratulations to the future Mr. & Mrs!! 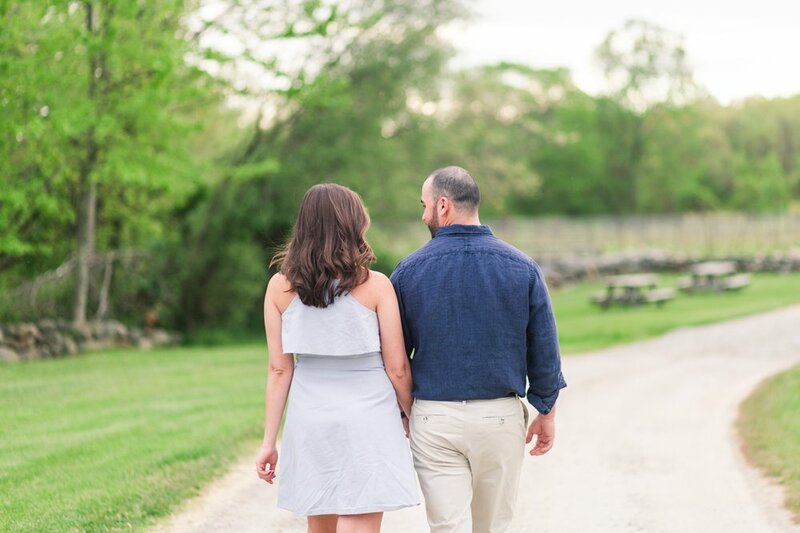 Katie and Ryan, we are so excited to have documented the beautiful love that you share, and cannot wait for your wedding next summer! 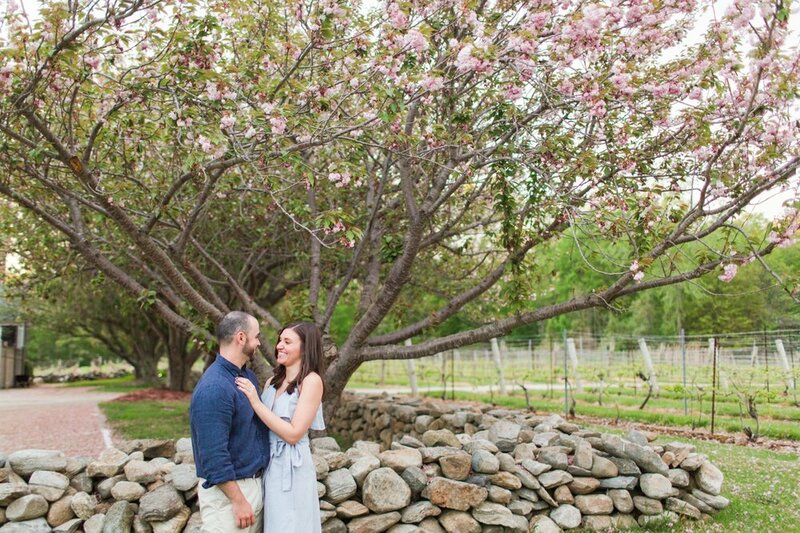 Arturo and I loved the grounds of this beautiful vineyard! I asked, "Which one of you is less musically inclined?" Without hesitation, Katie raised her hand and said, "Oh! That would definitely be me!" I then asked her to hum a song in Ryan's ear for him to try to guess what melody it was. This always creates some great laughs and wonderful smiles! 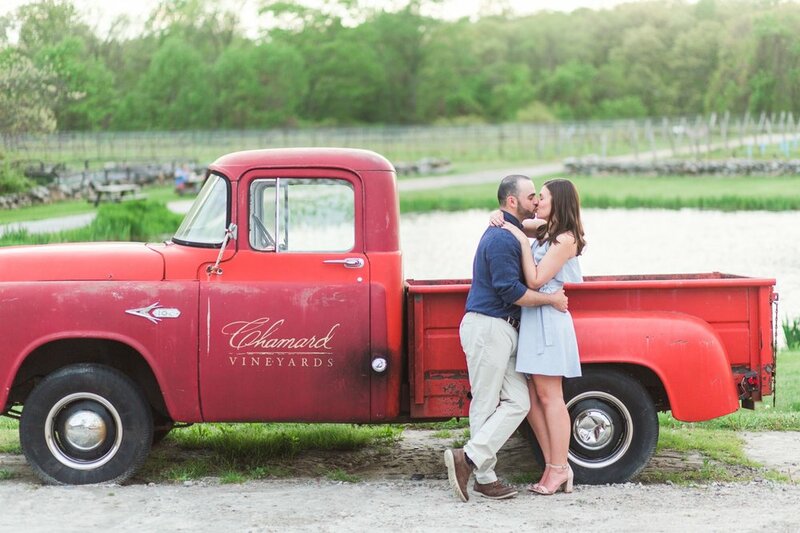 We couldn't pass up the opportunity to photograph these two in front of this old pickup truck! 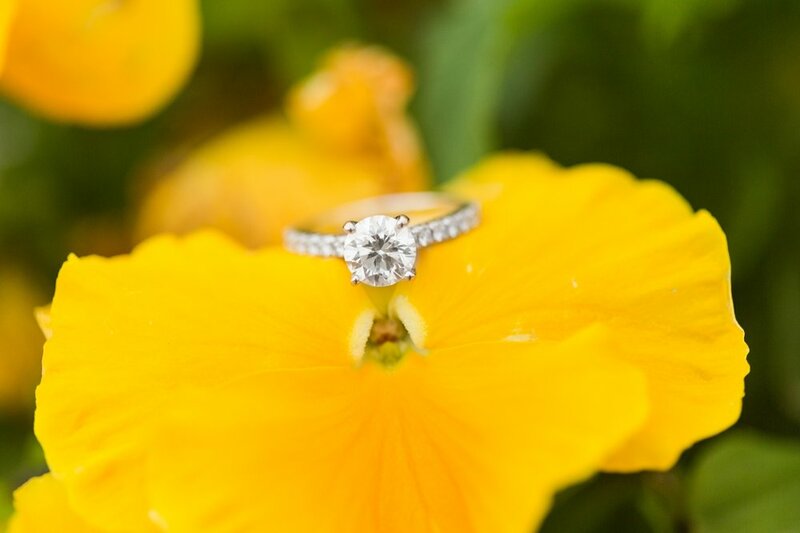 Isn't this engagement ring gorgeous?! Fabulous job Ryan! We got lucky when we found this "Happily Ever After Starts Here" sign! 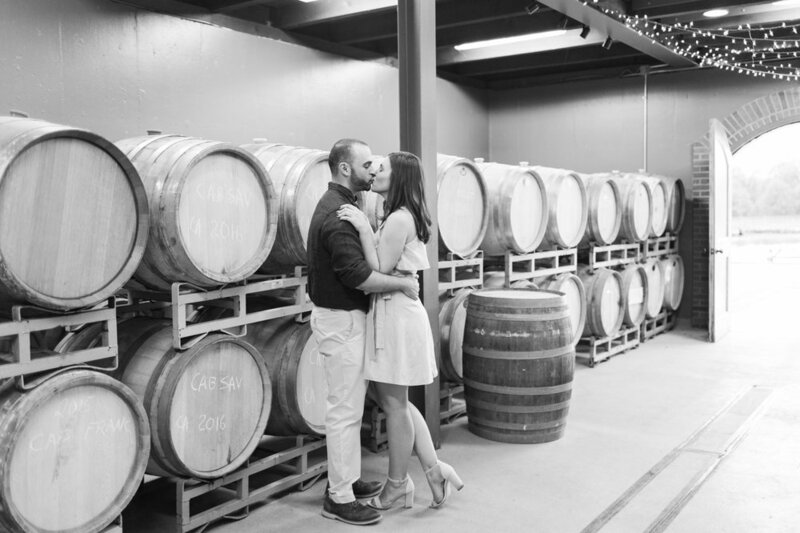 I hope you enjoyed this Chamard Vineyards engagement session! 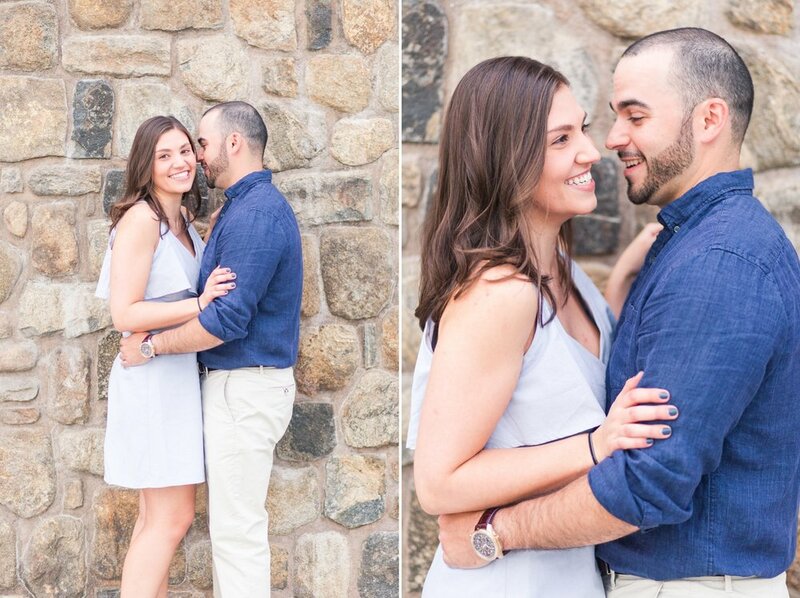 Do you know Katie and Ryan? Show them some love by commenting below!